Written Heralding History by TVRG. Happy anniversary TVRG readers, as our site turns three years old today! Founded three years ago by the mysterious TV Ratings Guy, the site has continued to enrich its ever-evolving niche. Daily Ratings and Renew/Cancel predictions peppered with show reviews helped launch and bolster the site into its current identity. The TV Ratings Guy, often referred to as the Ratings Junkie, was the lone operator of the site until a rash of former contributors such as Matt and Luke joined him in May. Follow the TVRG timeline, and get to know the current contributors. May 2: The TV Ratings Guy transitions to Blogger, beginning the Disquis comment party. May 7: Smoo (Sydney) begins weaving her crass editorials into the mix as the site's first female (and foul-mouthed) contributor. May 10: Alan Liu publishes his first piece in Disquis. May 12: Matt's Helping Blog begins tying into more territory. May 14: Eric McInnis adds another contributor to the thread. May 25: TVNerd becomes the latest transplant to weave television philosophy into the mix. June 19: Current contributor Hunter Vogt (HV) joins the party, threading consistent and weekly reviews of several current shows. July 3: Eric McInnis writes the 100th article for the site. August 30: Current contributor Jessica Boggs (JB) joins the site's ever-growing roster, with Jessica holding the honor as the first regular female contributor. Only second to the occasional contributions of Smoo. September 3: Luke Lambright takes over the ever-growing article roster. September 13: Current contributor Jordan Harrington takes a penchant to the CBS Renew/Cancel features. 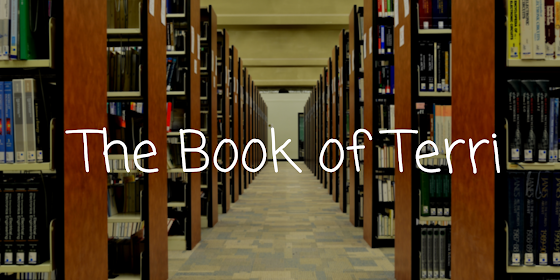 September 17: Current contributor Aasim Pasha joins the ranks. September 19: Current contributor Jonathan Ducote joins. September 25: TV Ratings Guy finalizes the 200th article, an ABC Renew/Cancel prediction. October 8: Former contributor LpWave joins the party. October 16: Smoo ramps up the outrageous factor with her candid, blunt editorials. Her aggressive words take the site into its next direction. Like an outlandish guest star during sweeps, she vanishes in early November after a firestarting arc. November 23: Luke Lambright's announcement of CW's premiere dates for Legends of Tomorrow, The 100 and other shows marks the 500th article published by the site. December 15: Current contributor "A Virtual Scrawl" (WCS) officially joins the site after months as a guest contributor. December 31: TVRG finishes its 2015 calendar year, having published 652 articles for its readers. January 7: Eric McInnis' last known published piece reaches readers, as apparently he has retired from TVRG. February 8: The site marks its one-year anniversary. February 26: LpWave makes his last appearance as a contributor of TVRG. March 16: Luke Lambright manages to grab another milestone, as his NBC Renew/Cancel article becomes the 1000th article published on the site. June 1: Rebecca Bunch joins as a guest contributor. June 26: After losing two contributors during the first half of the year, current contributor Ahmad Uhsufsy (Full Boyle) fills the void, bringing reviews, renew/cancel and the most news-related coverage this site continues to enjoy. August 11: Current contributor and daily ratings reporter Rebecca Bunch (AKA they change their name frequently) becomes an invaluable presence to the site when they join in official status. November 11: TVRG debuts its first of many interviews with Gerald Glassford's Pop Culture Cosmos, interviewing contributors Hunter Vogt and Jonathan Ducote. 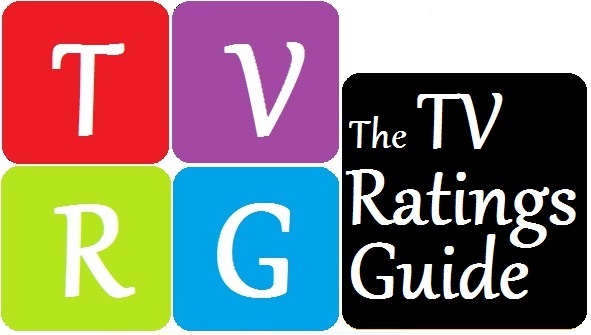 November 16: Jonathan Ducote launches TV Ratings Guide's 1st cycle of original pilots. November 26: Hunter Vogt brings in another milestone as his ABC Renew/Cancel index strikes the 2000th article published by TVRG. Mid-December: Rebecca Bunch cements an invaluable status as Daily Ratings reporter, covering approximately 90-percent of the daily posts since making the commitment. January 27: Bridger Cunningham cracks the ice, with his first Sitcom Scorecard (initially titled, "The Sitcom, Explained by Bridger Cunningham") launches his writing tenure as a guest contributor. March 15: Hunter Vogt grabs a two-time honor of striking another milestone, as his Modern Family review becomes TVRG's 2500th entry article. April 22: After the other contributors corner him, Bridger Cunningham becomes an official contributor, with his review of Girlboss being his first official published piece. May 7: After nearly 2 years of of publishing greatness, Luke Lambright publishes his last article. May 23: After a record-setting month of articles (301), 3000 articles is reached as the next milestone, courtesy of Full Boyle's review of Brooklyn 99. May 25: The TVRG Ratings Library's first brick in the foundation is laid, as Bridger Cunningham composes a special feature of the 1989-90 Sitcom Scorecard. June 9: Bridger Cunningham again augments his Ratings History project, delivering the first complete set of ratings for the 1984-85 season. November 26: Six months after Full Boyle strikes the 3000th match, Aasim Pasha hits the 4000th article with a review of NCIS: Los Angeles. December 26: Feeling the site needs a new vision and shakeup to keep things fresh, contributors collaborate and craft several anthology series including Retro Recommendations, Spinoff Stories, Do Not Resuscitate and resurrecting specialty piece Beyond the TV Grave. December 28: The TV Ratings Guy takes a bold stroke and updates the site to become mobile-friendly. January 8: TVRG Originals debuts two original scripts from its contributors, showcasing Jessica Boggs' "Network" and Rebecca Bunch's "Marietta." January 21: After amassing mounds of historic ratings and anthology series, the site debuts its "TVRG Ratings Library." 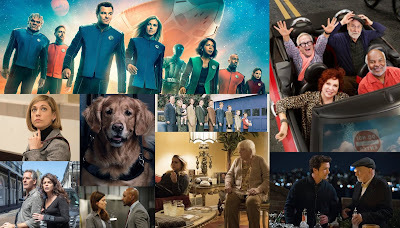 January 26: One year of Sitcom Scorecards and colorful ratings charts reached an anniversary. February 9: Three years in, and TVRG plans on sticking around. Nine current contributors remain on staff.